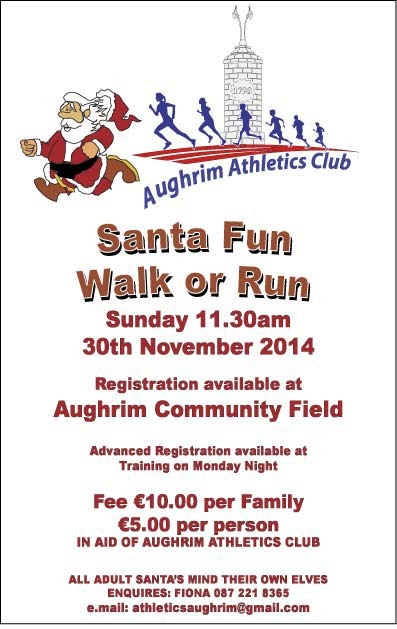 Our 3rd Annual Santa Fun Run takes place along with Aughrim Athletics Club on Sunday November 30th with registration at 11.30 in the Aughrim Sports Complex with the run beginning in the field and out up the Rednagh Road and into the Ciaran Shannon Walk and back to the community field . This is a great event with both Adults, children and families encouraged to take part. 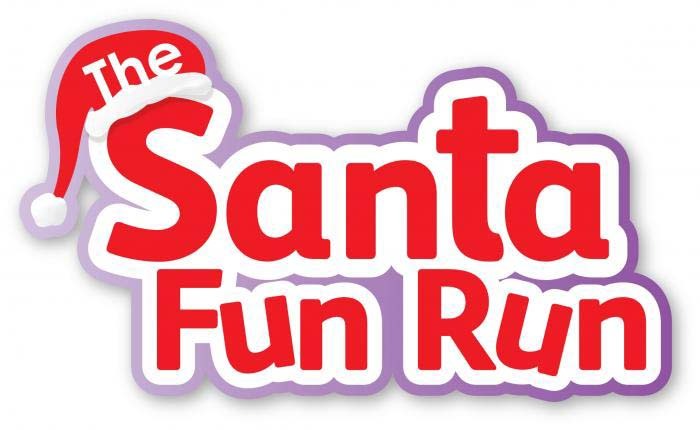 You can dress up if you want or buy a Santa Hat to help you run. Registration can take place on Monday nights in the sports complex with tickets costing 10 euro for families and 5 euro for singles running.